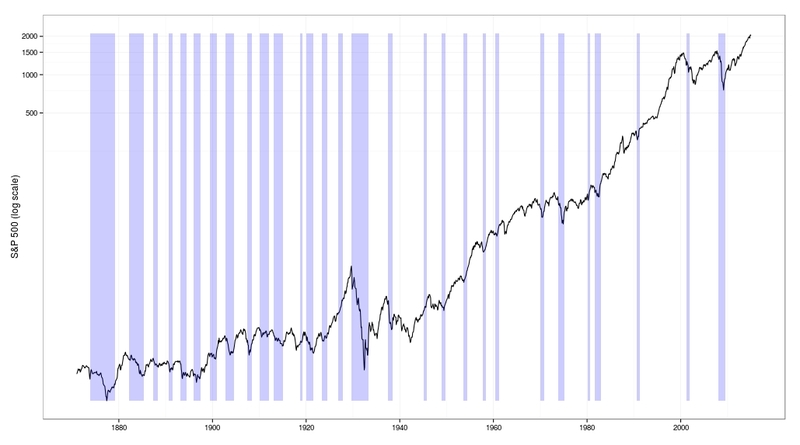 As an example we can plot the S&P 500 using the getshiller() function that we have described here. 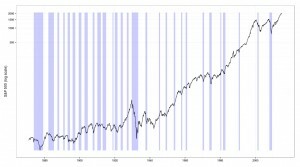 This function gets the NBER recession data from your local cache of FRED data (see here for the function definition) and builds a data frame with the recession start and end dates. Then it adds a geom_rect() in blue with transparency (alpha=0.2) so you can see any lines or text through the shading.